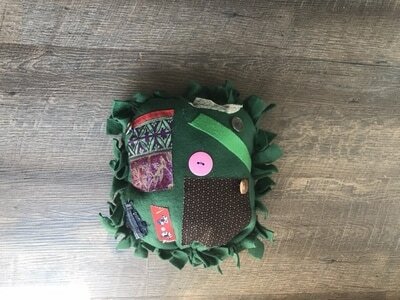 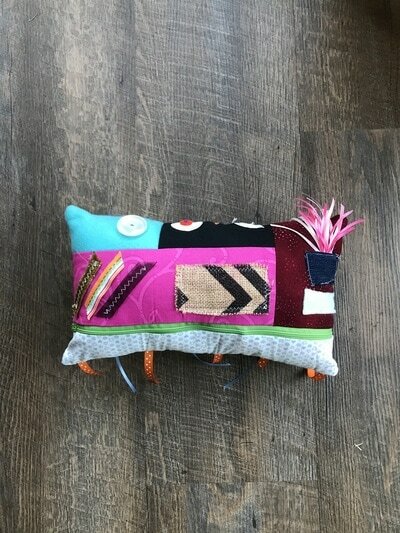 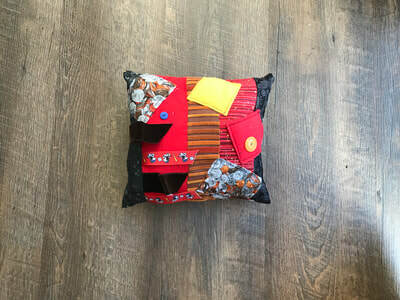 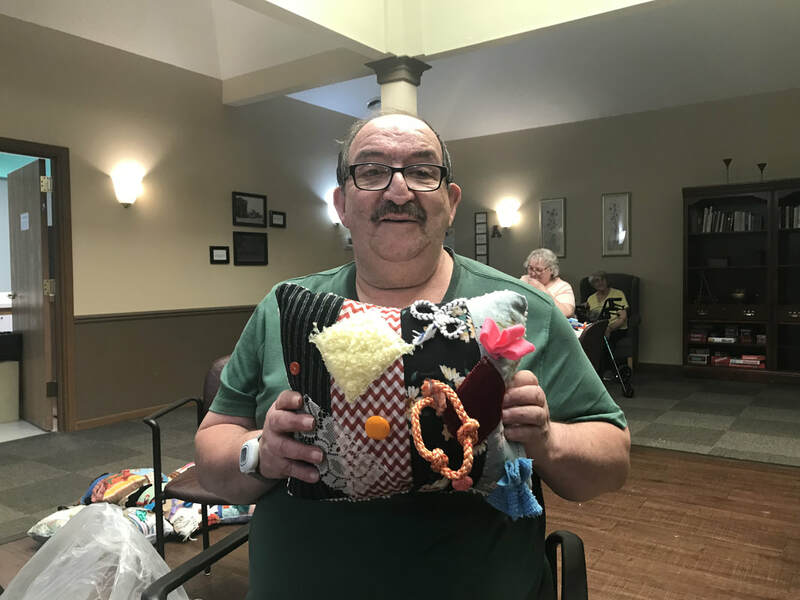 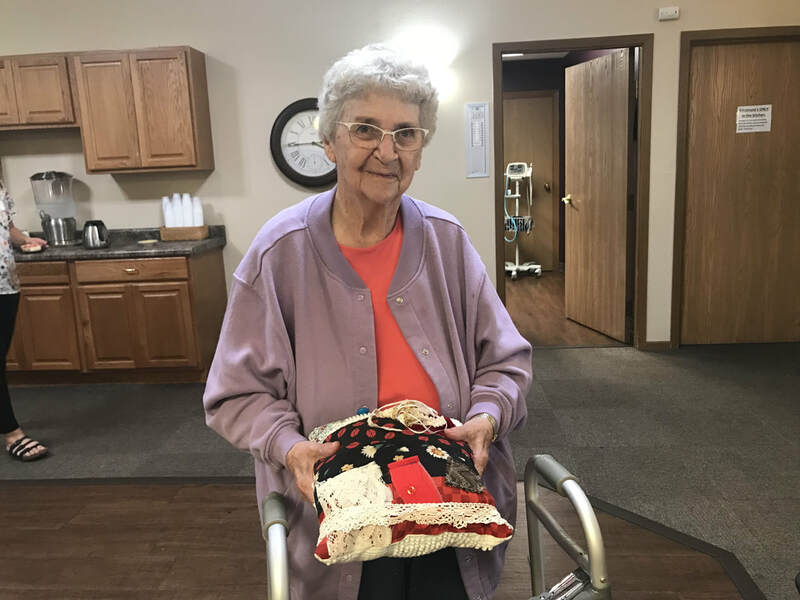 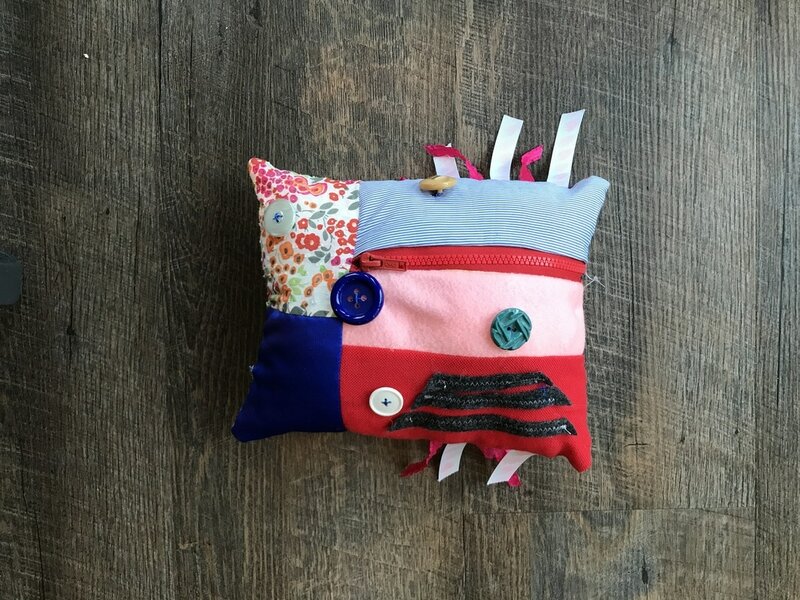 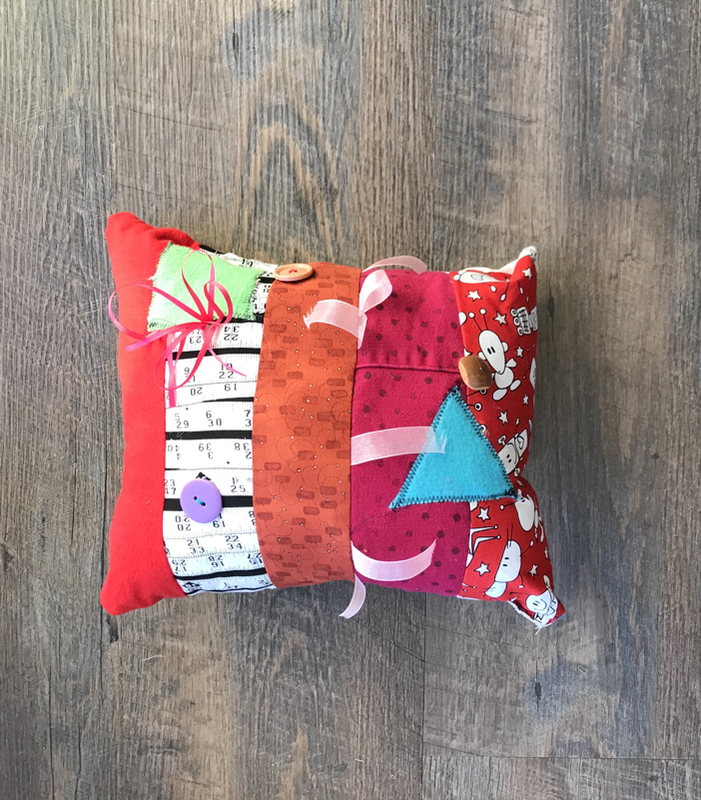 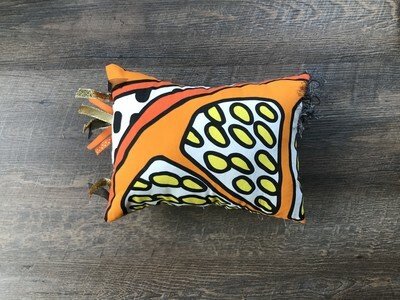 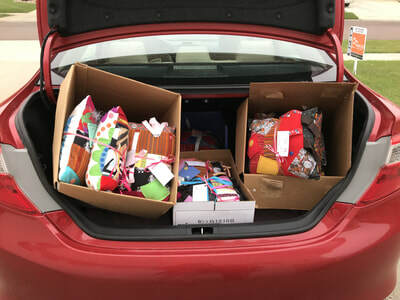 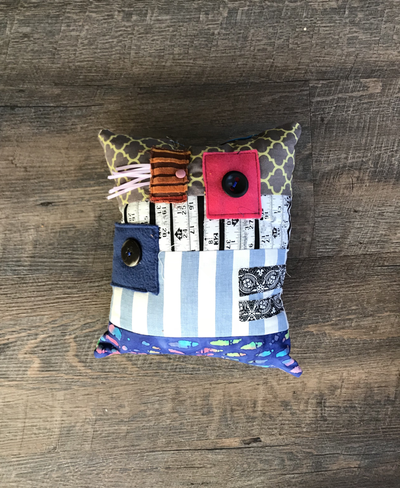 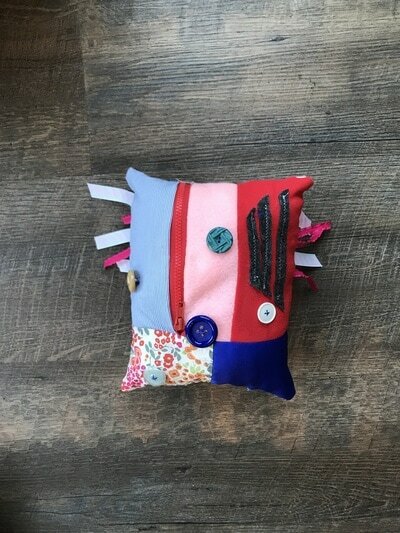 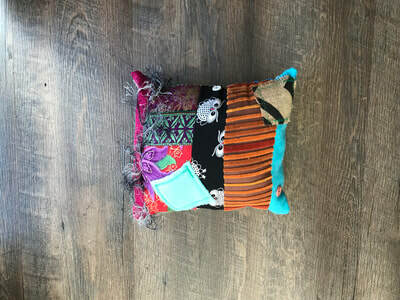 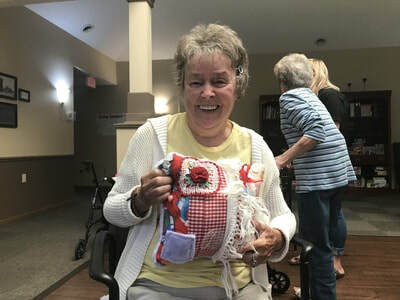 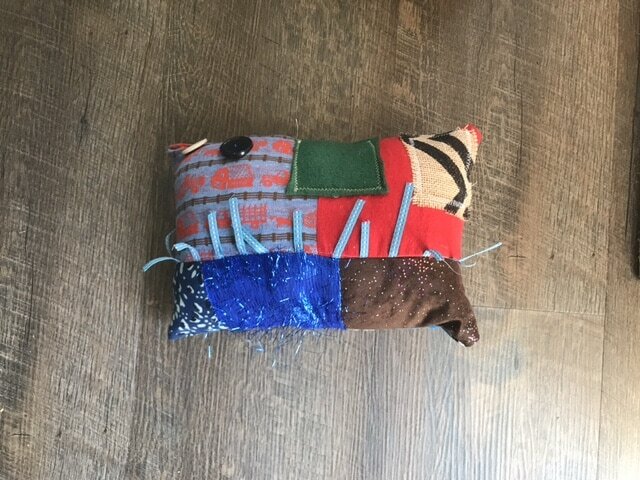 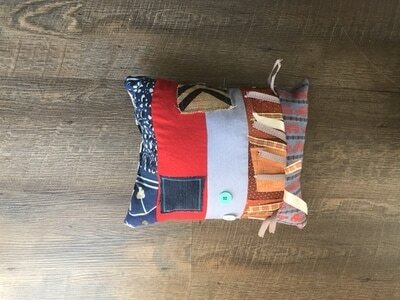 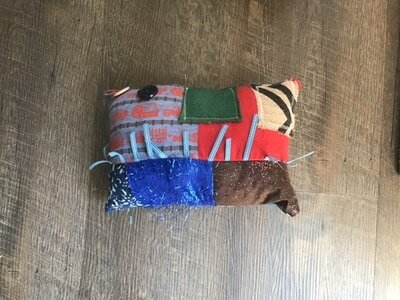 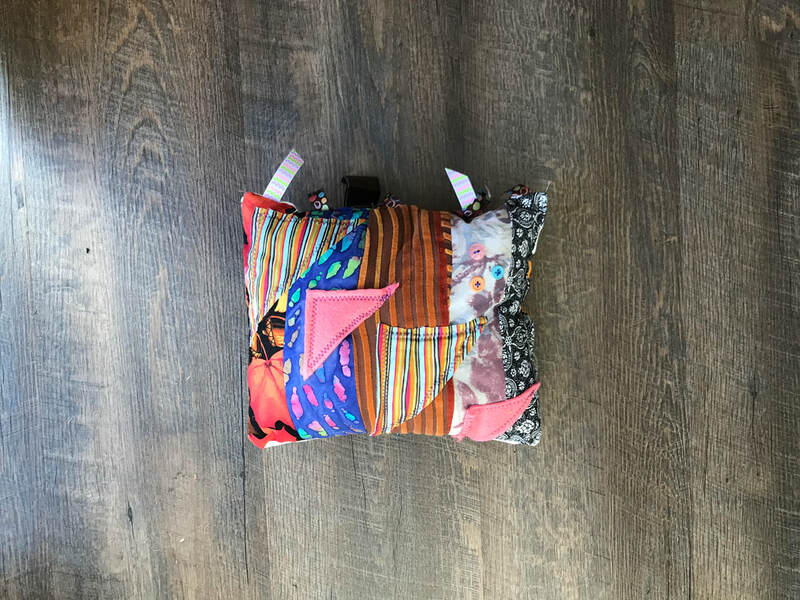 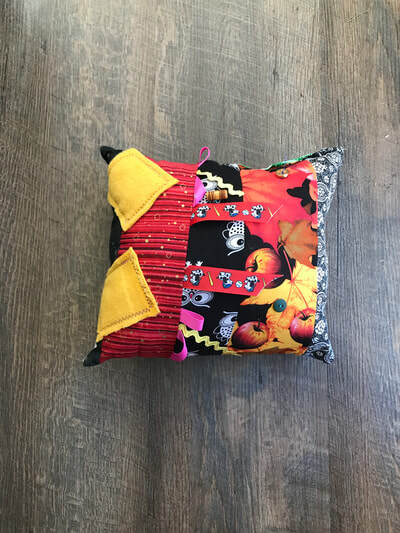 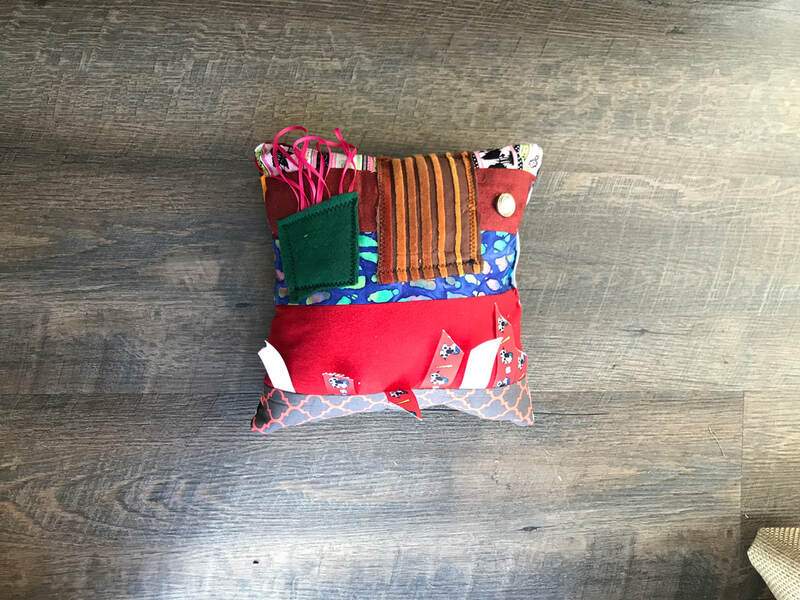 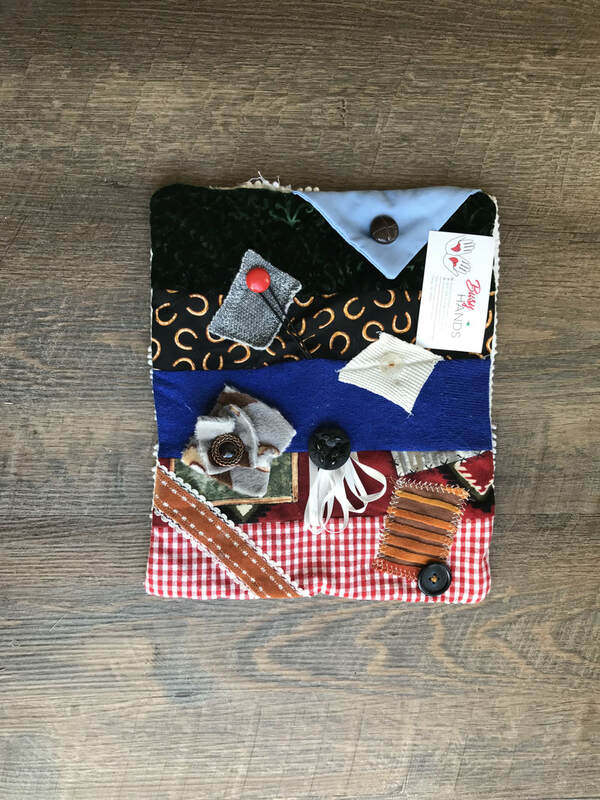 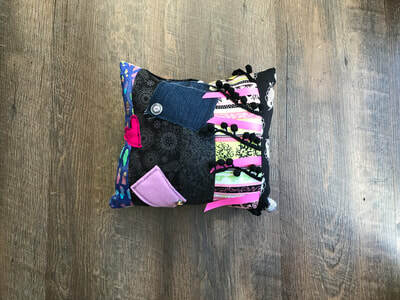 Each one of our Busy Hands Pillows are made with care and the purpose of helping patients across the FM area deal with the uncontrollable fidget for many Alzheimer and Dementia patients across the area. 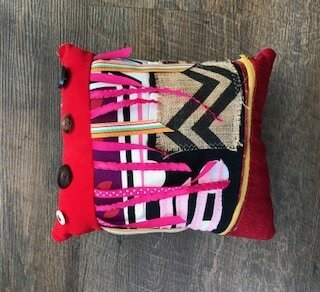 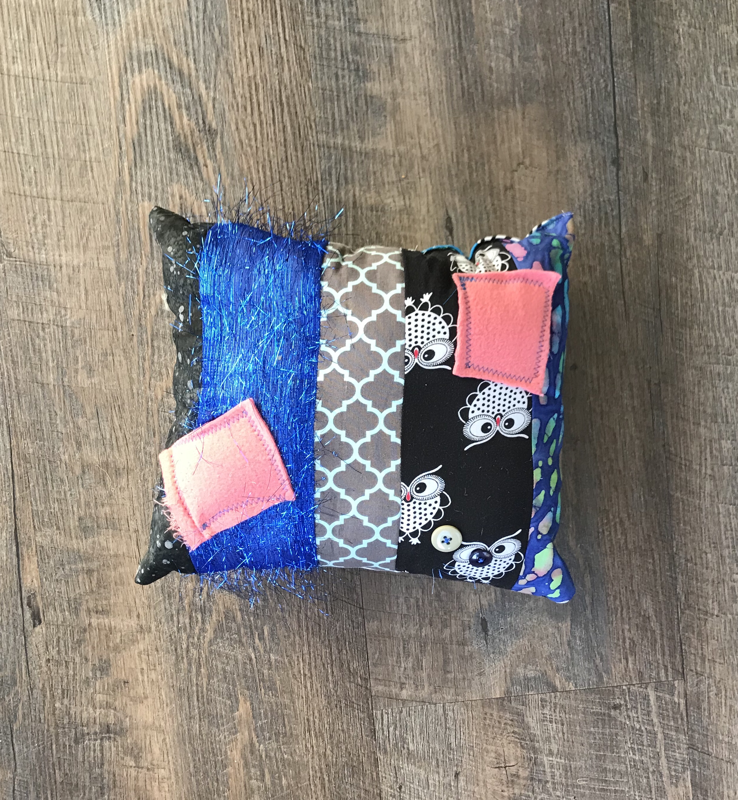 As above our pillows are created with bright colors, alongside with a combination of different textures and patterns. 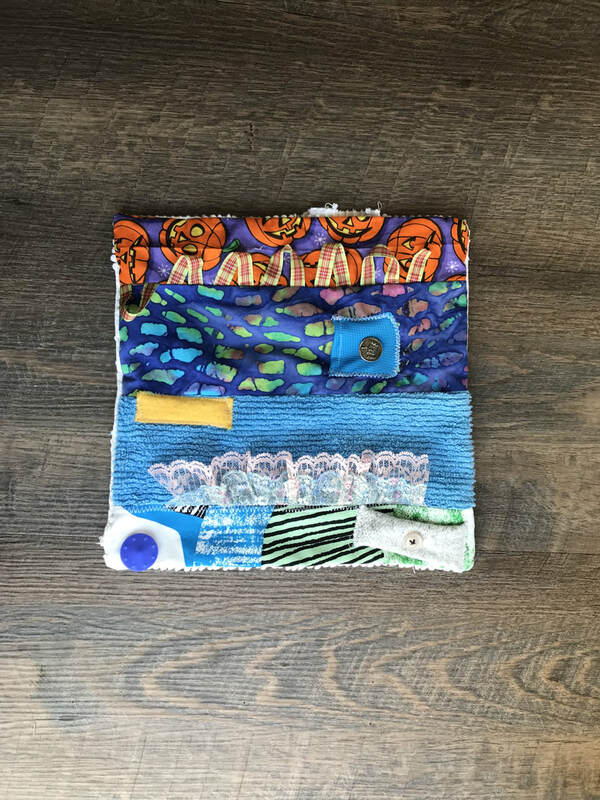 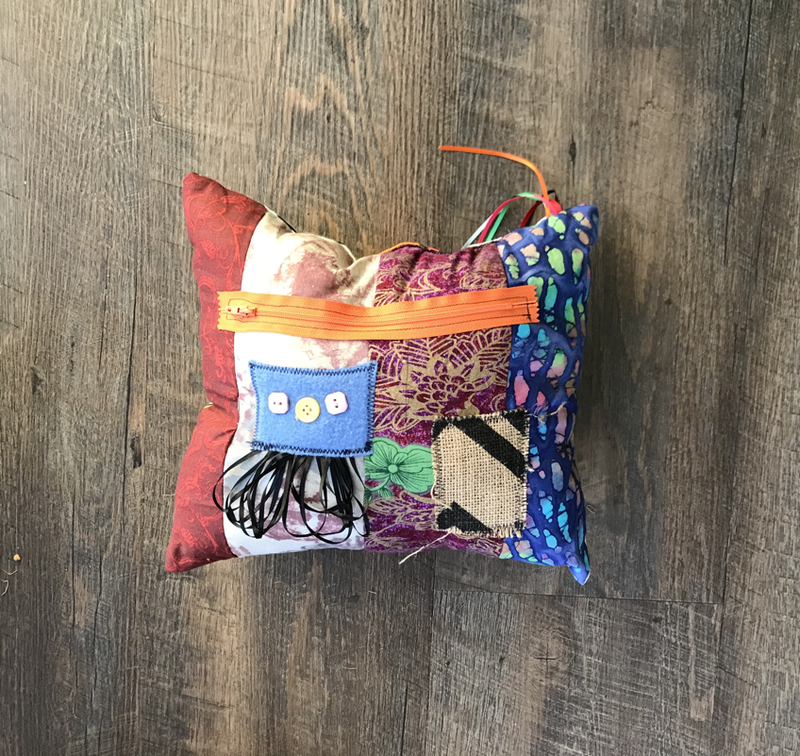 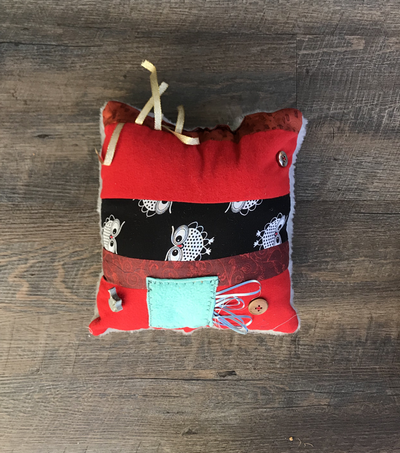 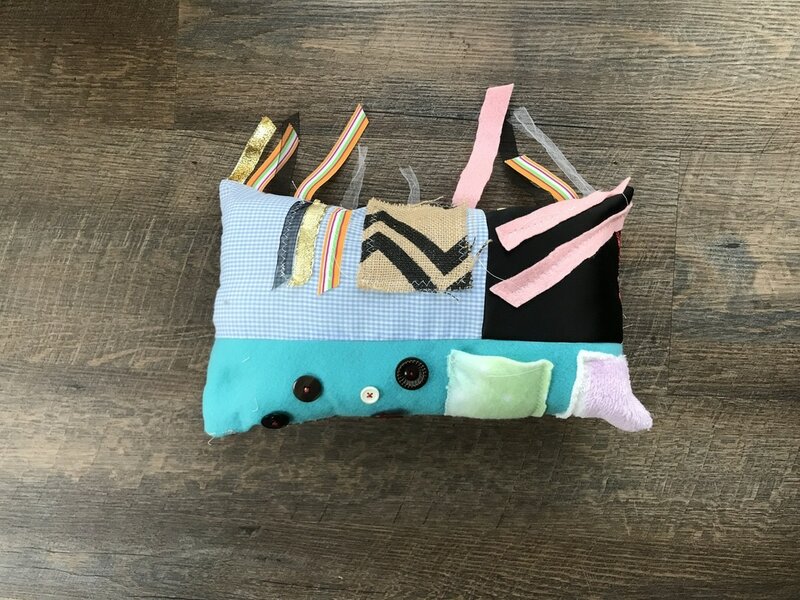 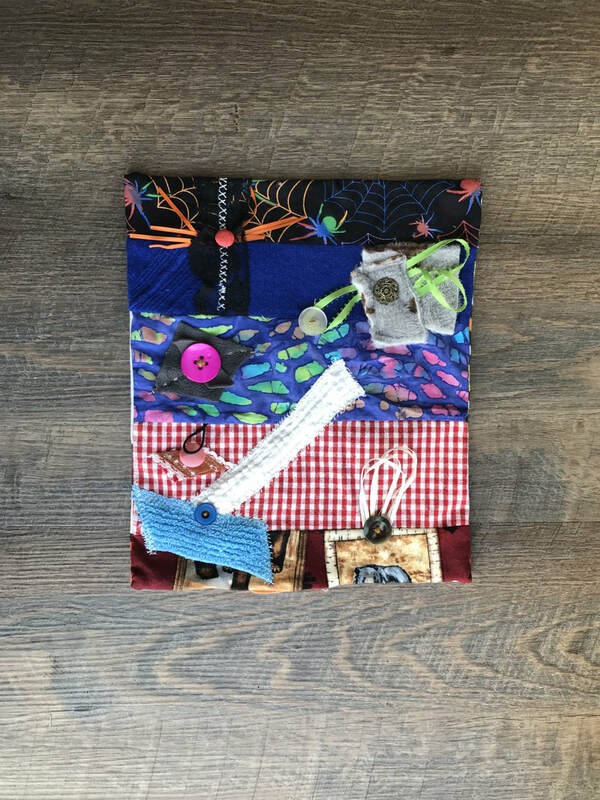 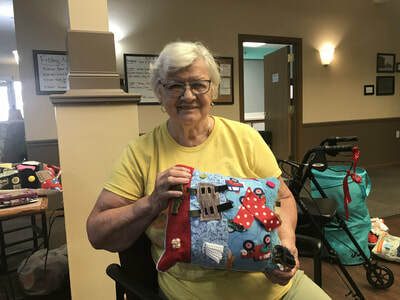 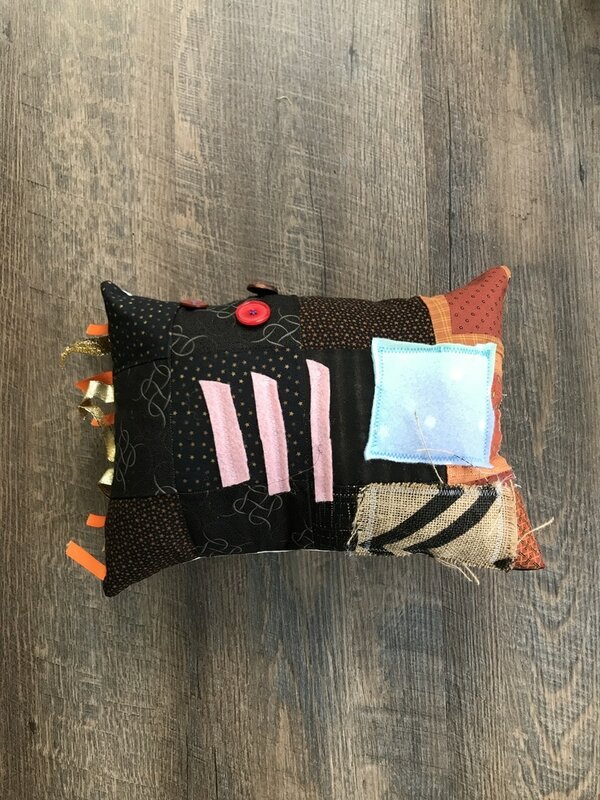 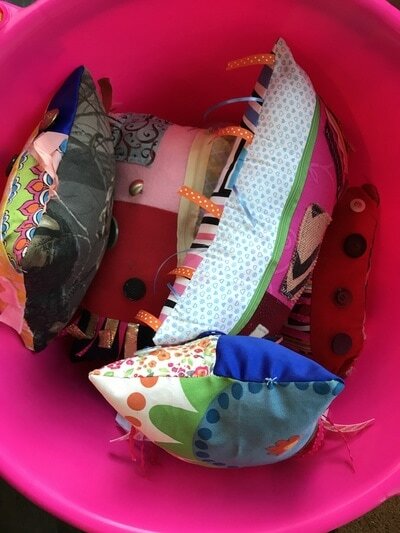 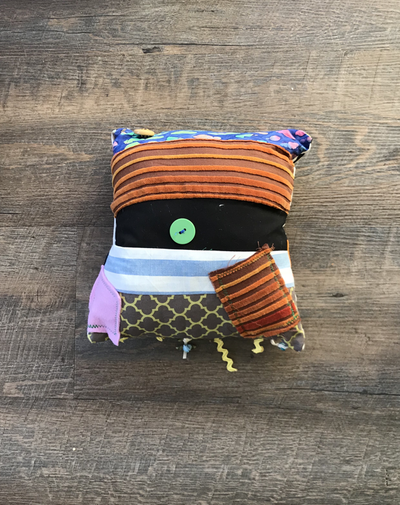 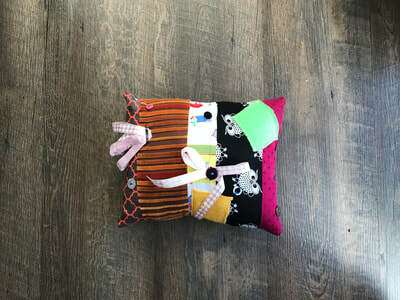 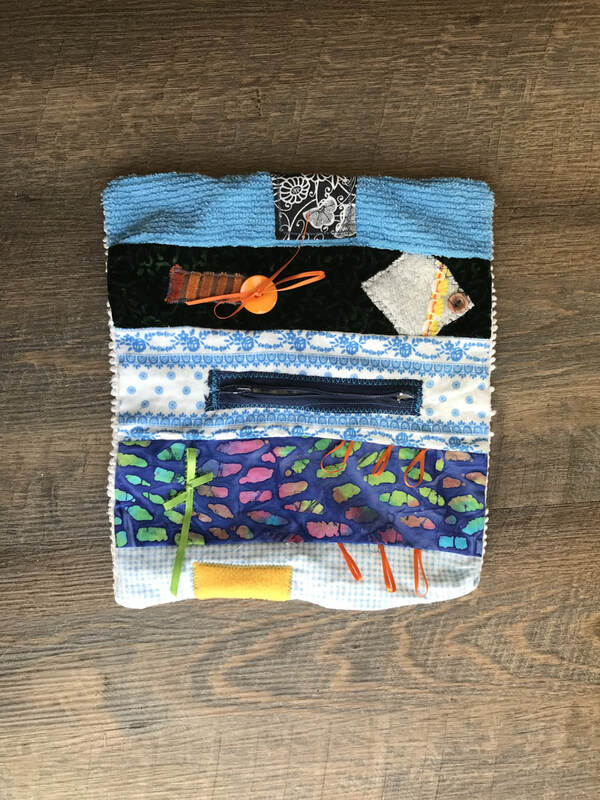 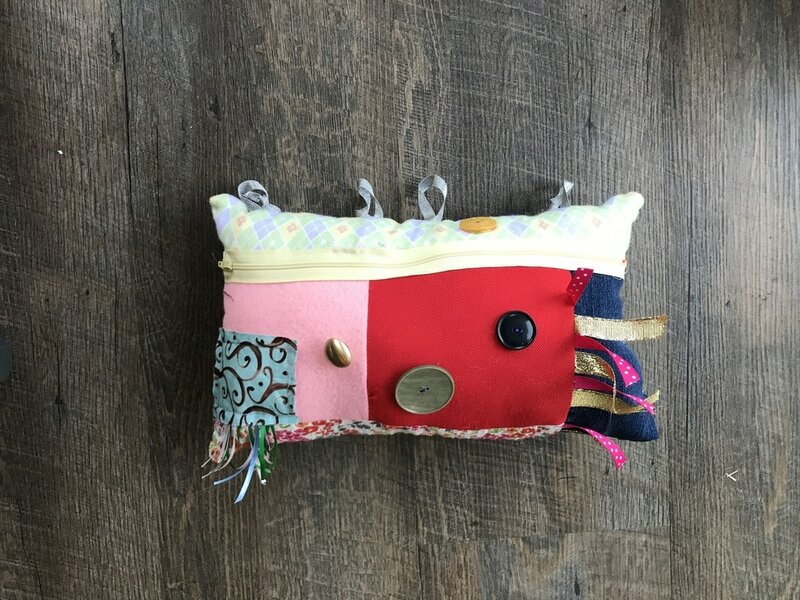 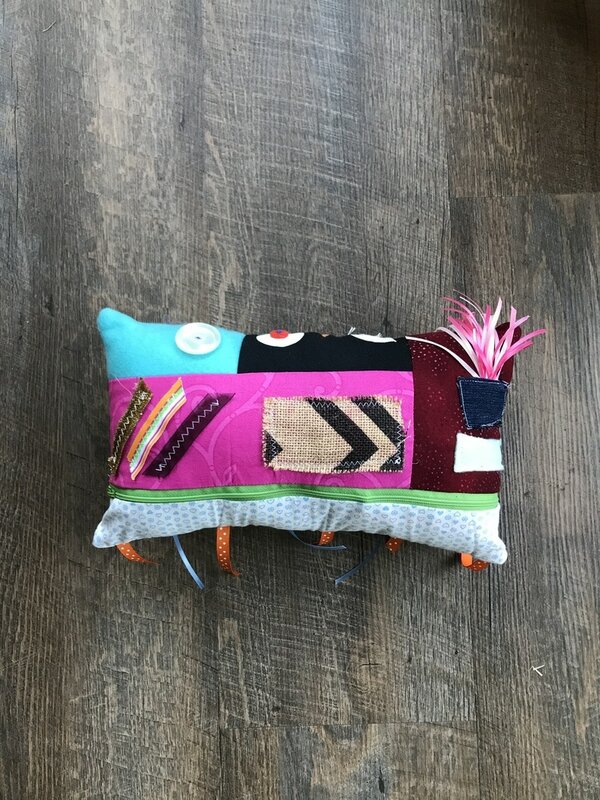 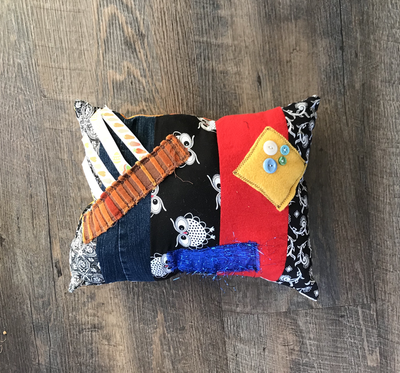 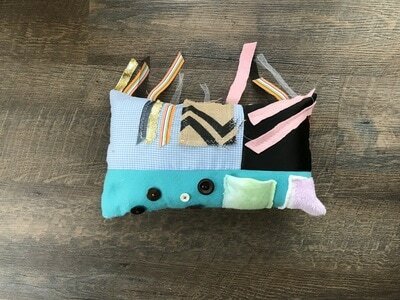 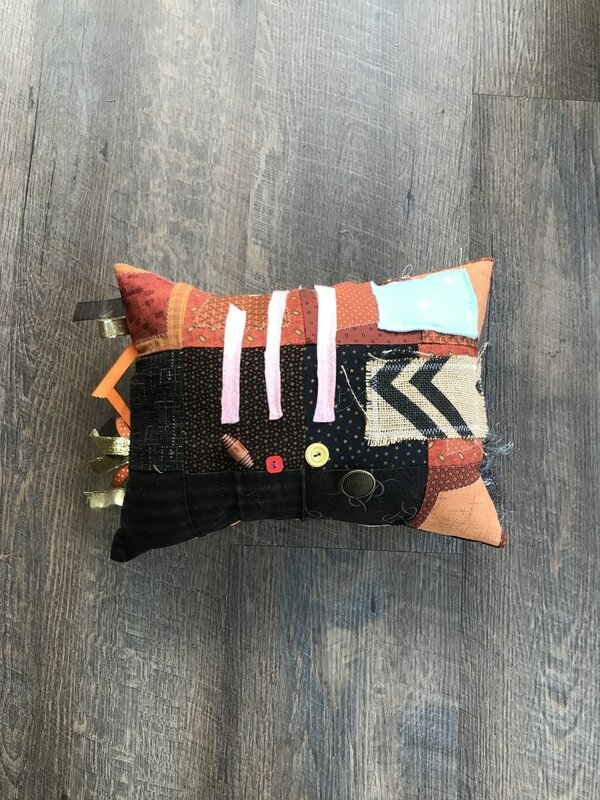 Many of the pillows have buttons, zippers, pockets, or ribbons sewn on so that patients can have different opportunities to stimulate some activity with their fingers. 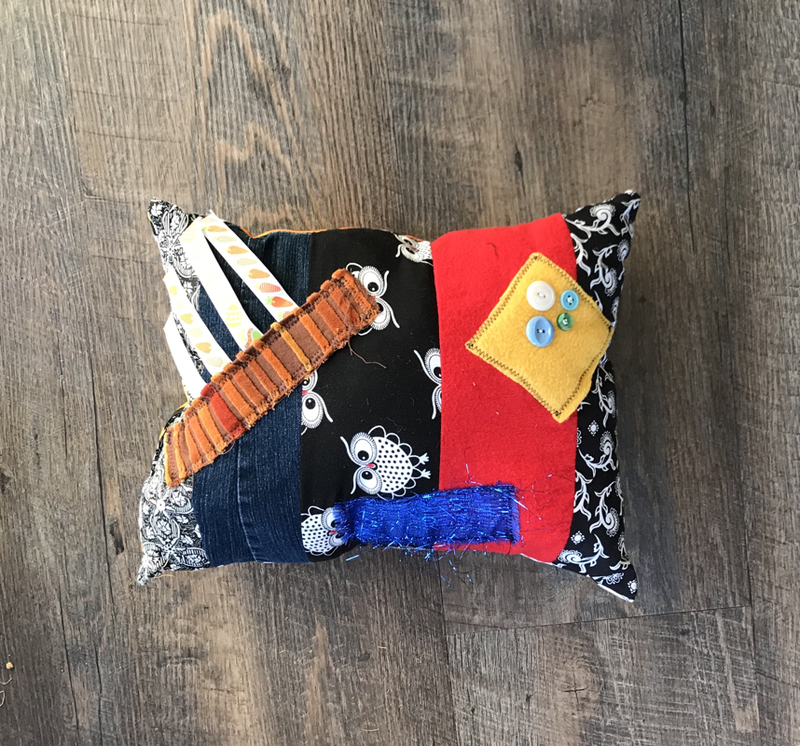 Now you have the opportunity to help others around you! 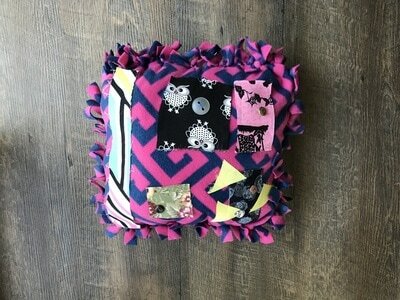 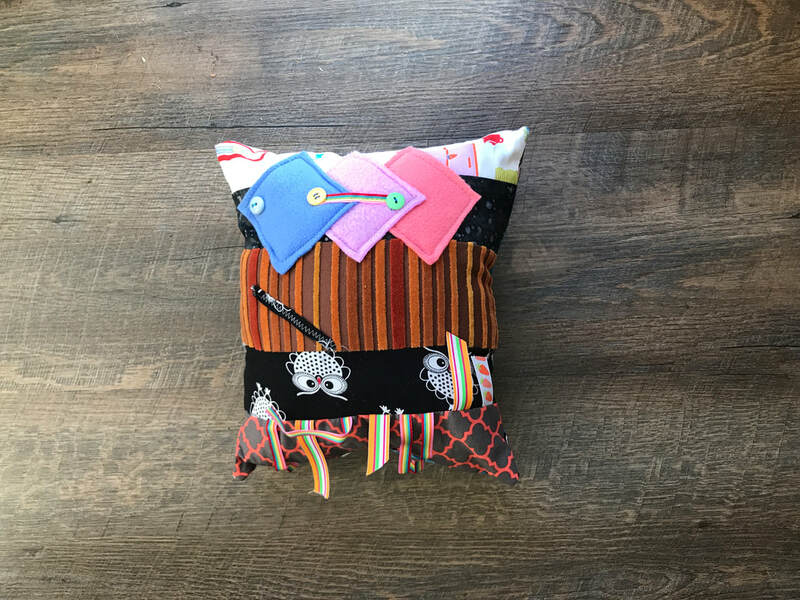 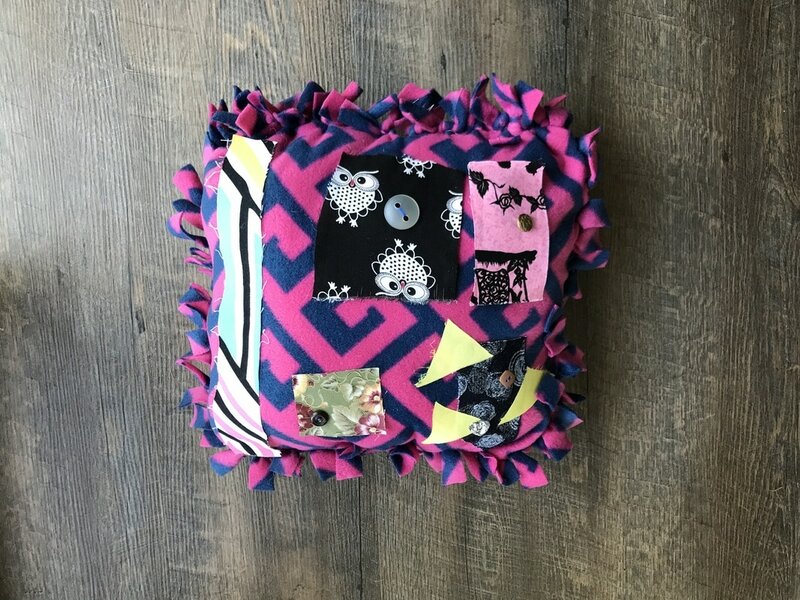 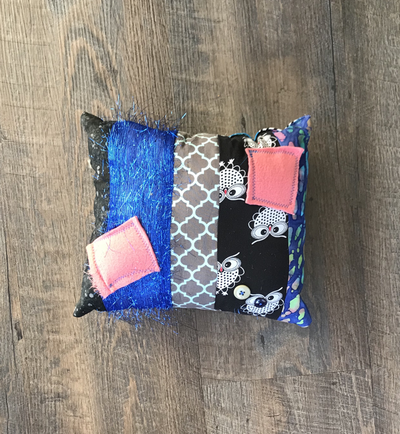 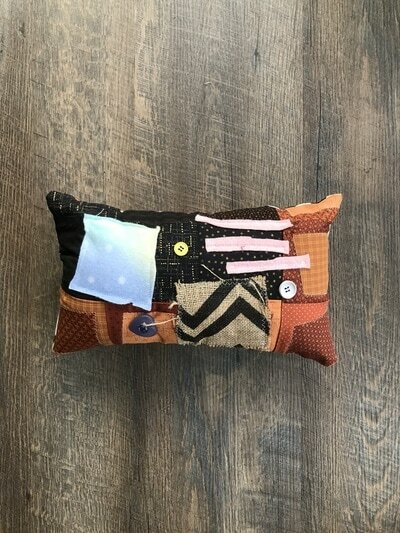 Make your own Fidget Pillow using this PDF pattern provided below.